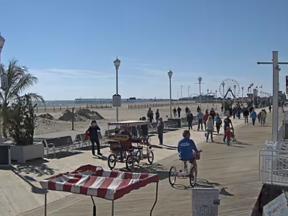 The weather in Ocean City, MD is a combination of bright sunny days tempered by gentle ocean breezes. The summer temperatures are ideal to explore the outdoors, soak up the sunshine, and play on the beach. Check the following local weather forecast, current radar, tides chart, and average temps for Ocean City, MD. 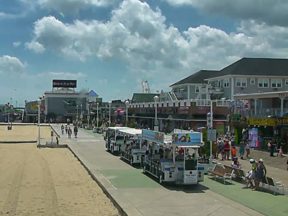 Current Radar for Ocean City, MD; East Coast U.S.
Air temperatures in Ocean City average in the low 80’s in the summer. Use this easy-to-use chart to find average temps for your next visit to Ocean City. 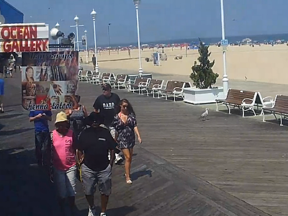 The ocean temperatures in Ocean City, MD average in the low 70’s in the summer. Use this easy-to-use chart to view average water temps for your next visit to Ocean City.